The €1,320 High Roller event of the Battle of Malta was a 3-day tournament and drew 240 runners. The final table today included a World Championship finalist. Fernando Pons from Spain is a former WSOP November Niner and he was happy to make another final table in a major event. However, it wasn’t him who would take down the title and €60,000. Instead, it was the Italian Simone Speranza who prevailed and collected all the chips. Speranza is not in this situation for the first time. Two years ago he won the €550 ME of the Campione d’Italia. Speranza also won the €550 IPO main event back in May. He now has six entries in the Hendon Mob tournament database, all of which are final tables and three of which are tournament wins. 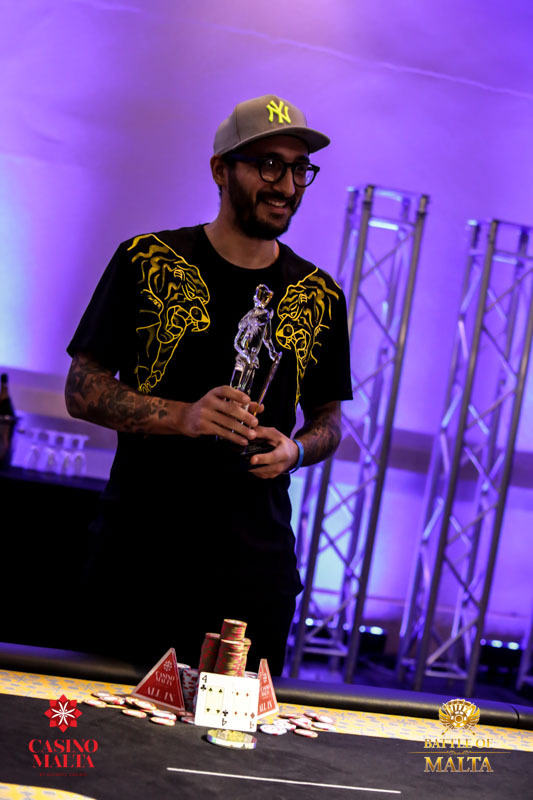 His victory at the BOM High Roller tournament marks the third-largest win of his career. Congratulations to a strong performance and a great result!